ITC is launching its redesigned and restructured website, offering easy access to key content areas and tools. The International Trade Centre (ITC) is launching its redesigned and restructured website, providing a clean and flexible design that is also optimized for mobile devices, including tablets. The new structure provides easy access to the most popular content areas, including ITC’s news, events, publications, as well as its country-specific pages. ITC is also launching its performance-benchmarking platform for trade support institutions. "We have listened to our users and upgraded our website to provide easier access and more content,"said ITC Executive Director Arancha González. "We hope our new website will help ITC clients better exploit the growth and jobs opportunities offered by trade." The website, which reaches 100,000 users every month, offers a wealth of information sources, including regularly published articles, thematic blogs and in-depth feature stories on projects and programmes. Specific landing pages for ITC’s three main user groups have been maintained: exporting small and medium-sized enterprises (SMEs), trade support institutions and policymakers are able to access all of ITC’s services, news and information relevant to them from their respective landing pages. On the project section of the website, users can follow more than 100 trade-related technical assistance projects operating in 103 countries . Users can also find information about donors, objectives and the beneficiary countries of different projects by clicking on an interactive map or filtering projects by categories, such as country, region or sector. ITC publications are categorized according to different topics and are available for download free of charge to users, while hard copies are available for purchase. Also highlighted in the redesigned intracen.org are ITC’s market analysis tools. 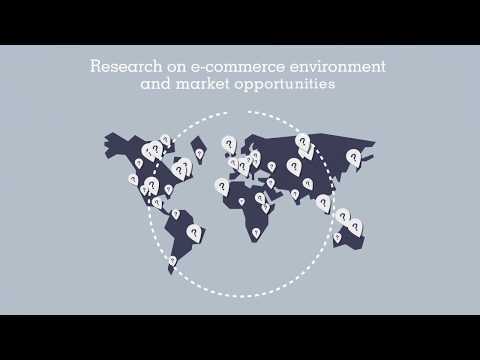 Containing comprehensive and proprietary data on international trade and investment, market access as well as standards, targeted to global policymakers and private enterprises, the information is now available free of charge to all users, facilitating decision makers in both the public and the private sectors to analyse market-development potential and identify new markets. Intracen.org is available in English, French and Spanish. Users can also follow ITC on twitter, Facebook and LinkedIn for the latest updates. Over the next few months, ITC will also relaunch the country pages on intracen.org, providing access to country-specific information on trade policy, export strategy and trade data on a single platform.